It seems like every year we get a new dose of snow on this weekend, but it doesn't stop the fun and friendship of outdoor people at this event. 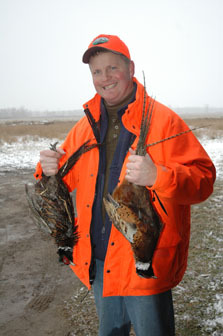 During the European part of the hunt, even experienced hunters sometimes make impressive shots and then follow up with an embarrassing misses. 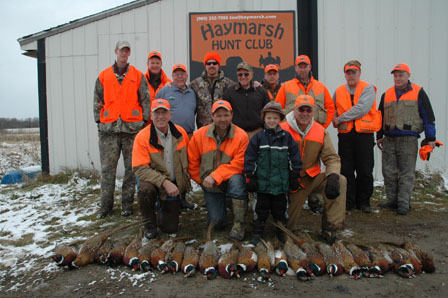 The European part of the hunt included 10 birds per participant (plus extras that Tim Sommerville included). After ten birds, we would rotate to a new station, so that everyone got an equal opportunity. We had two guides; with dogs retrieving. 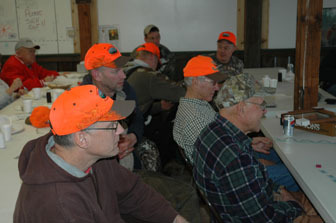 After the morning hunt we were treated with a Country style meal. It doesn't get much better than that! After the meal Maury shared a devotional and gave an update on Sportspersons Ministries. Then we had some fun with some door prizes and raffle items. The afternoon hunt was also very enjoyable. 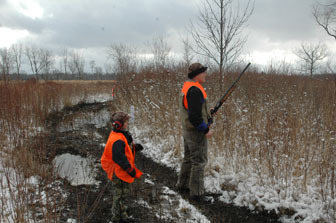 What a privilege to hunt with a guide and a well trained dog(s). 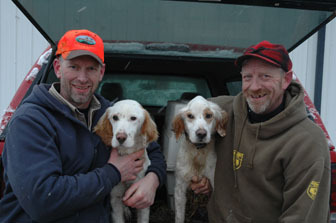 Participants had the opportunity to choose between hunting over a Lab, setters, or a vizsla. This year we added Trophy sponsors and Stations sponsors. There are 10 stations in the hunt, and individuals and businesses supported Sportspersons Ministries International by sponsoring a station with a donation of $50 or more (cash or products). Our Trophy sponsors contributed $500 or more to SPI. With your generous donations, we were able to gross more for the ministry this year, even though we had fewer shooters. 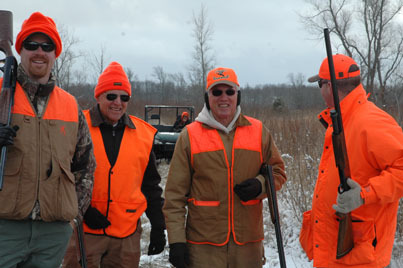 Sportspersons Ministries International exists to connect outdoorsmen with their creator. We do this by offering outdoors events with a ministry focus, aiding churches in their ministry efforts, and connecting with business who have a desire to make a difference for the kingdom.